Mexican artist Frida Kahlo planted cacti in the garden to create a living barrier. 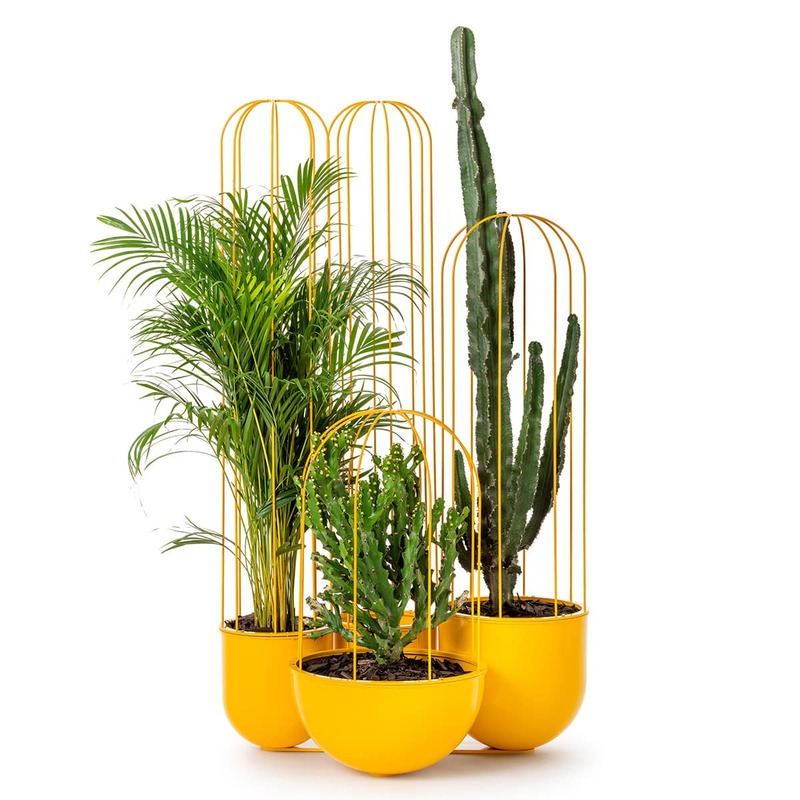 Inspired by Kahlo’s approach, Nola’s new planters are made with metal trellises that mimic the shapes and proportions of cacti. The planters bring nature indoors, adding decorative features or dividing the space as they dampen noise and improve air quality. 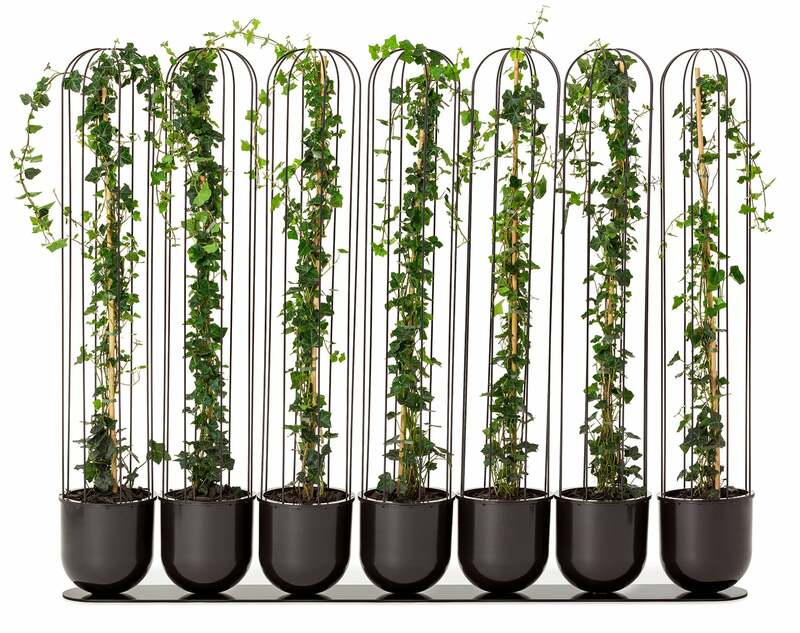 The planters are available in three different sizes with trellises made in three different heights. 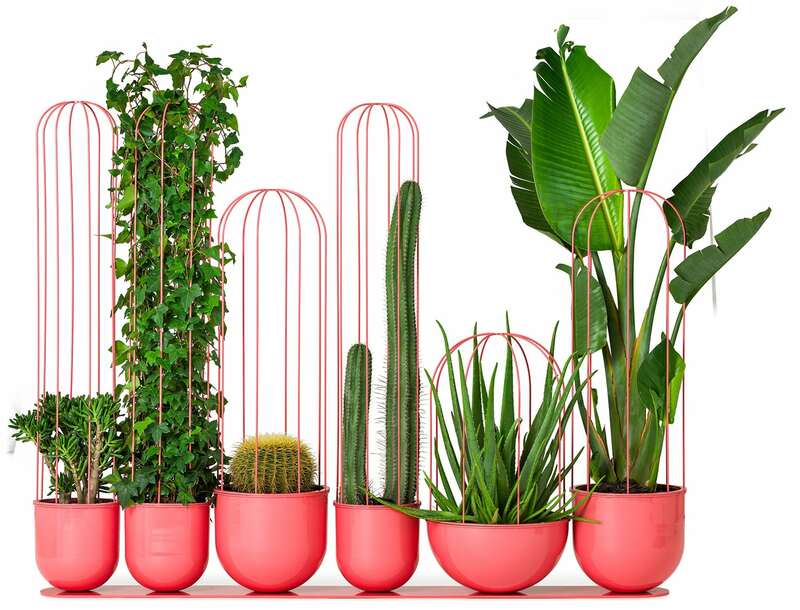 Cacti planters can refresh everyday environments with plant life and vivid colours.